1. UPS Ground - 4-7 business days. 2. UPS Three-Day Select - 3 business days. 3. UPS Second Day Air - 2 business days. 4. UPS Next Day Air Saver - 1 business day. 5. UPS Next Day Air - 1 business day. 6. UPS Next Day Air Early A.M. - Less than 1 business day. If any of your items weigh more than 149lbs+, you will only have the option to Freight Ship. Freight Shipping rates vary. See "Freight Shipments" in the Help Center for more information. Paumco will send you an email with your shipping information once your order is fulfilled. At that time, you may take your tracking number to the carrier website or any tracking website to track your package. If your package has exceeded your selected shipping plans allotted business days, please contact us at 1 (866) 554-7455. We will find out what's going on. 1. If you ordered your item after 5pm any day between Mon-Thurs, your order may not be fulfilled until the following business day. 2. If you ordered your item after 11am on Friday, your order may not be fulfilled until the following business day (Monday). 3. If you ordered your item on a weekend at any time, your order may not be fulfilled until the following Monday. 4. If your order weighs 149lbs+, your order will be delivered by freight. Once Paumco has sent out the truck containing your shipment, you will be notified and provided a tracking number. If none of the above apply to your situation, please contact us by calling 1 (866) 554-7455 or by using the contact form below. Your shipping cost depends on destination, service, package weight, and other considerations. If you're curious about your shipment cost before checking out, feel free to use the "Shipping Calculator" on the bottom of your "Cart" page. What effects my shipping price? Variables such as carrier, weight, size, and destination play a role in how much your items will cost to ship. If you have any concerns about the total cost of your shipment, please feel free to send us a message using the contact form at the bottom of the page so we can help out. How do I know if my items will be delivered by truck? If you're unsure how your items will be shipped to you, and want to know before beginning your check out, follow these steps. 1. Check the weight of your items. To do this, check the FAQ page of the product and find "Item weight". If your item is 149lbs+, then this item will have to be delivered by truck. Your shipping price will then be calculated by the item weight and distance to your location. 2. If you can't find the weight of your items, use the "Shipping Calculator" on the bottom of your carts page. Simply entering in your ZIP code will tell you your shipping options. If you're already in the process of checking out, simply review your options after inputting your shipping address. These options will tell you how your items will be shipped, the cost to ship these items, and the average delivery time. Can I buy my own freight shipping? If you're interested in instead shopping for your own truck shipment, please call Paumco at 1 (866) 554-7455 to speak with a representative about your options. Which trucking companies do you use? If you have questions about which company your shipment is going to arrive with, call us at 1 (866) 554-7455 to speak with a representative. At Paumco we have a strict return policy of 30 days or less. If it has been 30 or more days since your purchase, we will not return your items for money back or exchange. 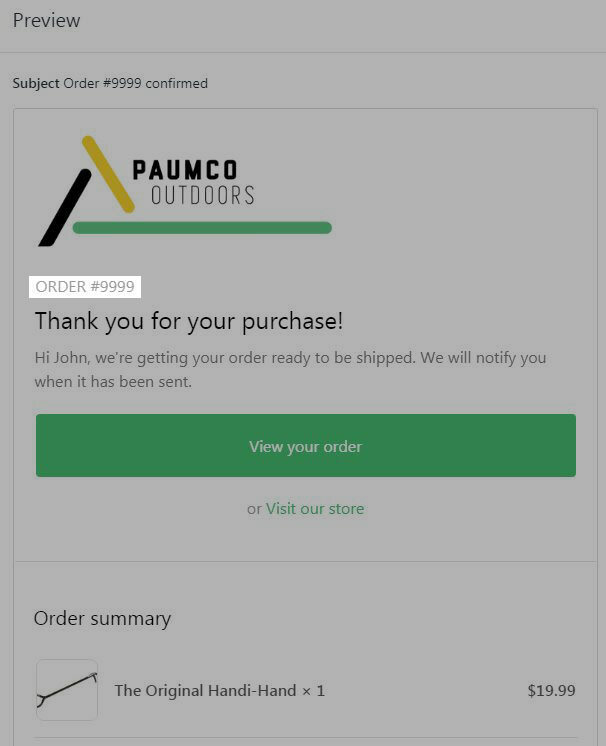 If you believe you have received a defected product or you are not happy with your purchase, contact us at Paumco within the 30 day limit to guarantee processing of your return. Can I exchange my product for a new one? We only replace items if they are defective or damaged. If you need to exchange it for the same item, contact us using the form below or by calling 1 (866) 554-7455. We will instruct you on how to proceed. Is my product eligible for return? If you’ve done all of this and you still have not received your refund yet, please contact us using the contact form below or by calling 1 (866) 554-7455. We'll do our best to get your refund to you. Please send all returns/exchanged items back to 500 Congress St W, Maple Lake, MN 55358. 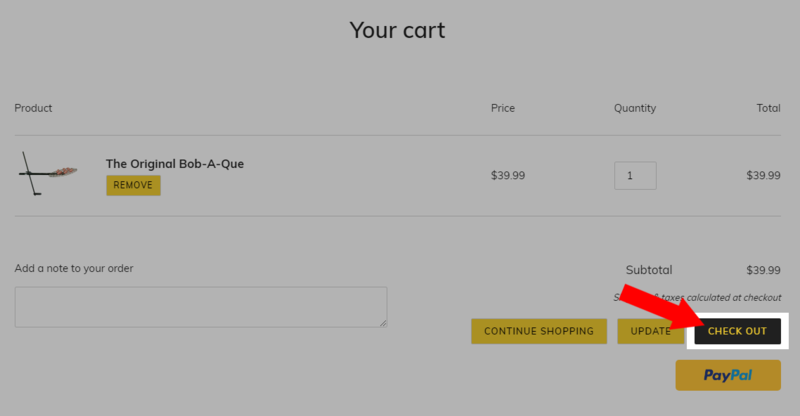 To add an item to the cart, simply select the "Add To Cart" button found below the items title. Once you've clicked this button, go ahead and check your cart (clicking on the shopping cart icon in the top right) to ensure all went well and your item is now ready to purchase. How do I purchase the items in my cart? To complete your purchase, press the "Check Out" button shown below the items in your cart. Before doing this, you may add a note to your order if your item has any customizable features or if you have any general questions. Once you begin your checkout, you will be prompted to enter in your shipping information. To ensure your order goes to the correct location, please make sure to fill out all fields as accurately as possible. 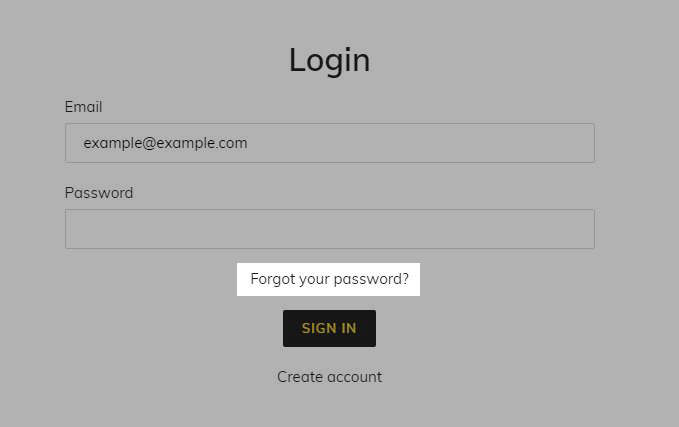 If you have already made an account with Paumco, you will be prompted to log in (on the upper right corner). If you log in, your information will be pre-filled from your previous settings. Once you've input your information, we will provide you with your shipping options. Make your selection from the choices by clicking on your desired shipping method. 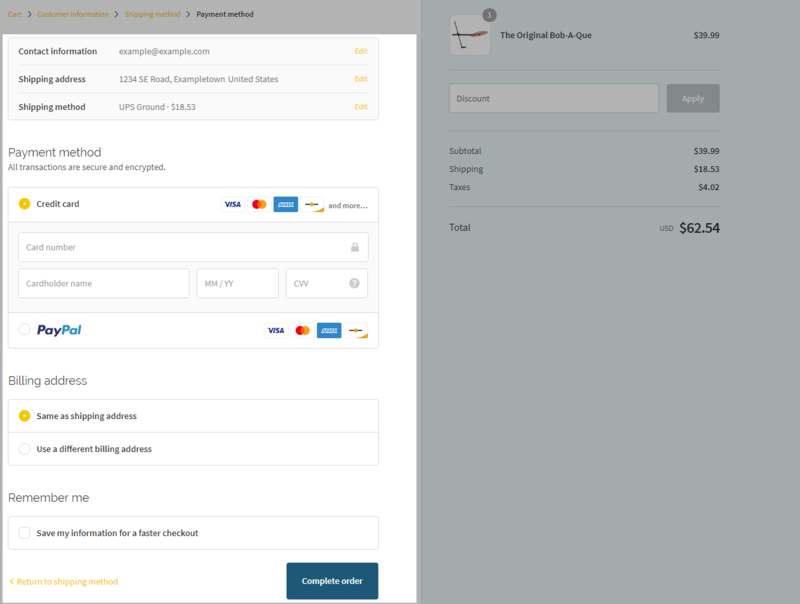 Once you have selected a shipping method, your total price on the right hand side of the screen will reflect to show your new updated total price with shipping included. Now that you've selected your shipping method, you can continue on to your payment method. This screen will prompt you to fill in your payment information. Paumco accepts all forms of credit/debit cards, as well as Pay Pal. 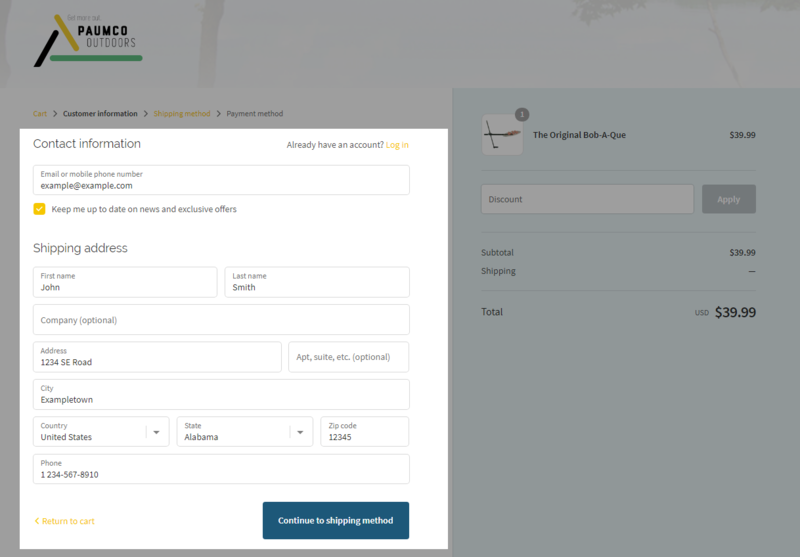 After selecting your payment method, you may review all of the details of your order, including your contact details and shipping address, on the top of the page. 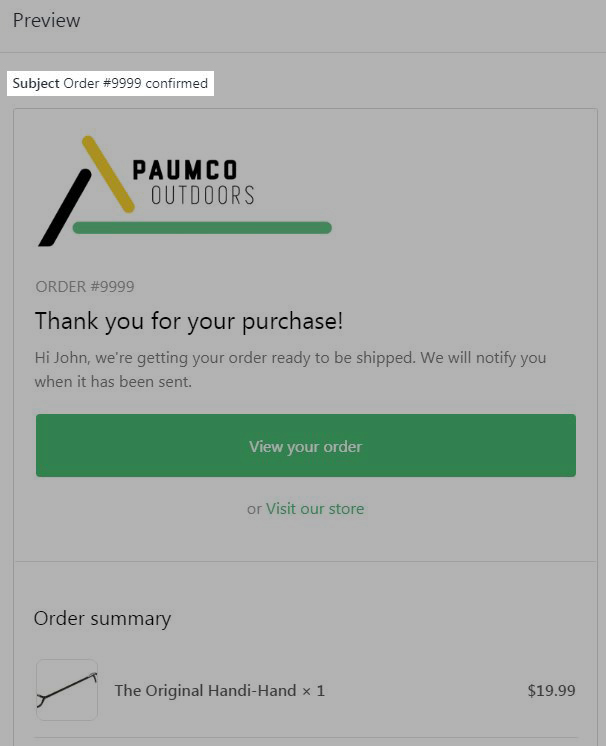 If you're new to Paumco, you may select to save your information for a faster checkout next time. After you've completed all of the above steps, you may complete your order! Congratulaions! Once your order is placed, a representative from Paumco will reach out with an email explaining the next steps you can look forward to, including when your order will be shipped and when you can expect to receive a tracking number. To view the contents of your cart, click on the icon in the upper-right corner of the page. Clicking this icon will bring you to your "Cart" page. 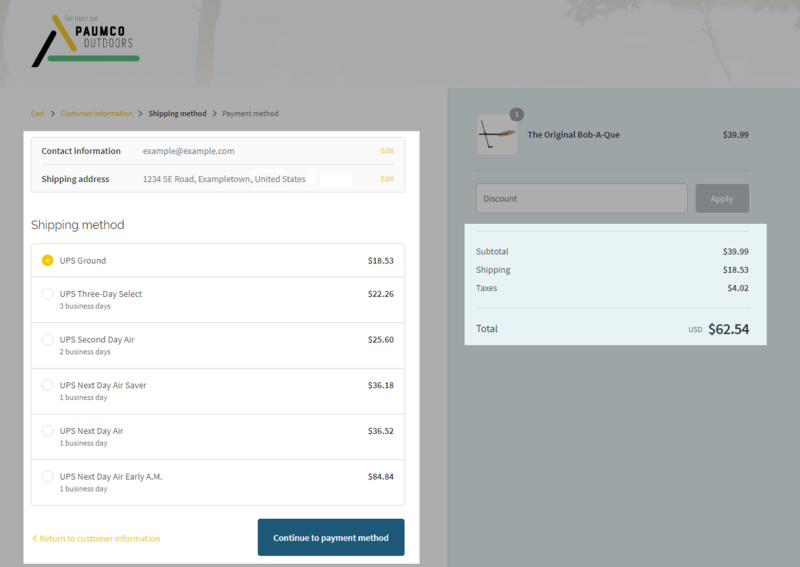 Once here, you can change the quantity of items in your cart, delete items from your cart using the "Remove" button, add a note to your order by typing into the alloted note space, or calculate your estimated shipping cost using the "Estimated Shipping" calculator. I accidentally abandoned my cart, what now? Don't worry, we'll provide you an email with a link right to the products you intended to purchase within a day! From there, simply click on the link provided and you will re-start your purchase. First, click on the icon in the upper-right corner of your screen. This will allow you to view all items currently in your cart. Once you have identified the item that you would like to delete, click on the “Remove” button to the left of the item and then click "Update cart" in the lower-right corner to have your changes reflected. If you've placed an order by mistake and wish to cancel your order, you must do so within 1 hour after payment. After an hour is up, you may not cancel your order as your payment has already been processed by our servers and fulfillment proceedings will have begun taking place. If you wish to cancel an order, please contact us using the contact form below or by calling us at 1 (866) 554-7455. Can I still cancel my order after (X) hours? You may only cancel your order within 1 HOUR of placing your order. After an hour is up, you may not cancel your order as your payment has already been processed by our servers and fulfillment proceedings will have begun taking place.. I placed an order by mistake, what now? If you've somehow placed an order by mistake, or purchased a different quantity than selected due to unforeseen circumstances, and it has been under 1 hour since placing your order, you may cancel your order and re-buy the correct quantity, or not. If you've placed an order or purchased a different quantity than desired and it has been OVER 1 HOUR since you've placed the order, your payment details have already been processed by our servers and fulfillment proceedings may already be taking place. If you feel you have placed this order by mistake, and it has been OVER 1 HOUR since purchasing, feel free to contact us using the form below. Where is my order number on my confirmation email? There will be two places to find your order number on your confirmation email. Your order number will be a combination of 4 digits. The first will be in the subject line of the email, as seen below. I put in the wrong shipping address. What now? If you've put in the wrong shipping address when placing an order and didn't catch it before finalizing your order, please call us immediately at 1-(866) 554-7455 to avoid any delays. If you are calling within 24 hours of placing your order or have not yet received a shipping confirmation, we will take your new shipping details over the phone. Keep in mind you must be able to confirm confidential order details (such as order number or billing address) before we will make this change. If you are calling after 24 hours of placing or order or you have received a shipping confirmation, please call us immediately at 1-(866) 554-7455 and we will do our best to solve this problem for you. Please note: If you entered the wrong address and called to inform after 24 hours or after you have received a shipping confirmation, you may experience a delayed shipment as we attempt to re-route your shipment, or further shipping charges if we have to pay to ship the item again. If you're having trouble logging into your account, or remembering your login or password information, there are steps you can take to get back into your account. Simply enter your email address and hit the "Submit" button to send yourself an email detailing instructions on how to access your account. If you can't remember the email address associated with your Paumco account, use the contact form at the bottom of the page or call us at 1-(866) 554-7455 to speak to a representative who will help. Please keep in mind you will need other identifying information before your account email will be given to you. Paumco is currently working on setting up a question-&-answer section right on product pages. Until then, please feel free to use the contact form below or give us a call at 1 (866) 554-7455 to ask us your questions. Where do I find <this> product? 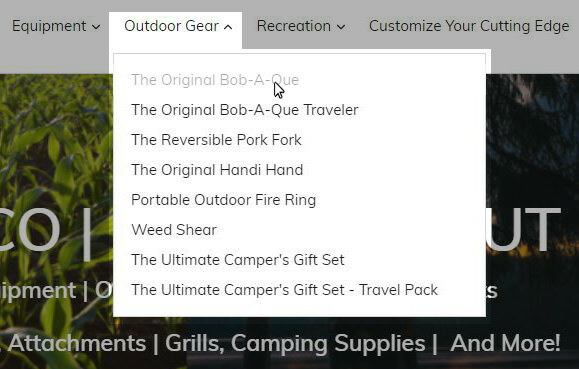 From this menu, you can select your product interest by clicking on the "Equipment", "Outdoor Gear", or "Recreation" tabs. 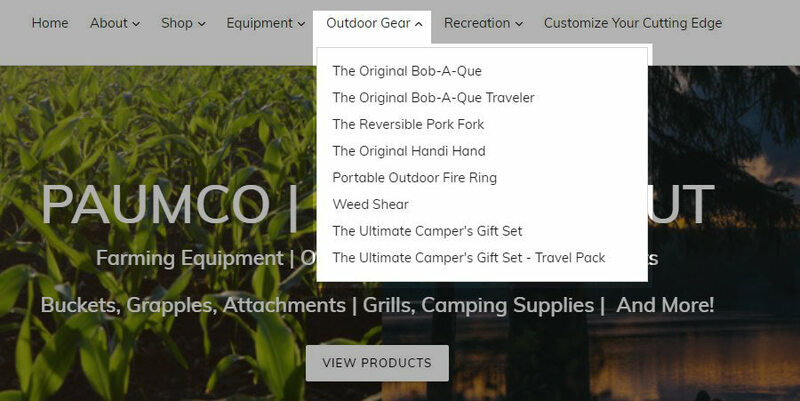 Double clicking on these menus will bring you right to that product category - where you can browse all of the items within that division. If you're interested in a specific product, you can click the tab once to bring down a drop-down menu. From this drop-down menu, you will see a list of all products in that category. 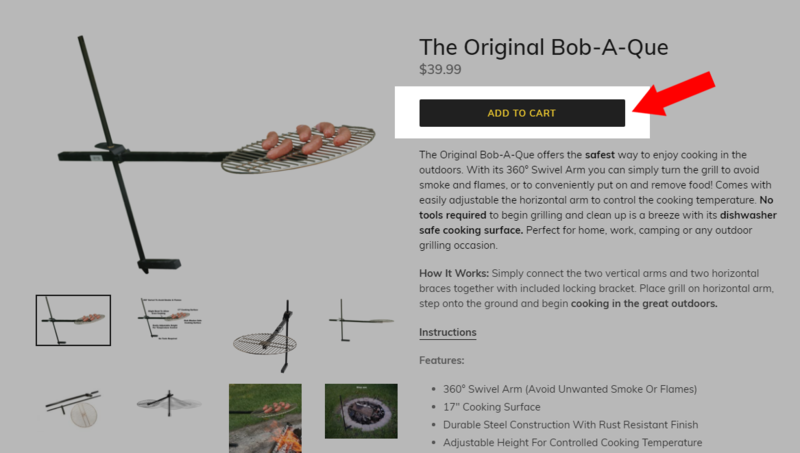 Clicking on one of those items will bring you straight to the product page.